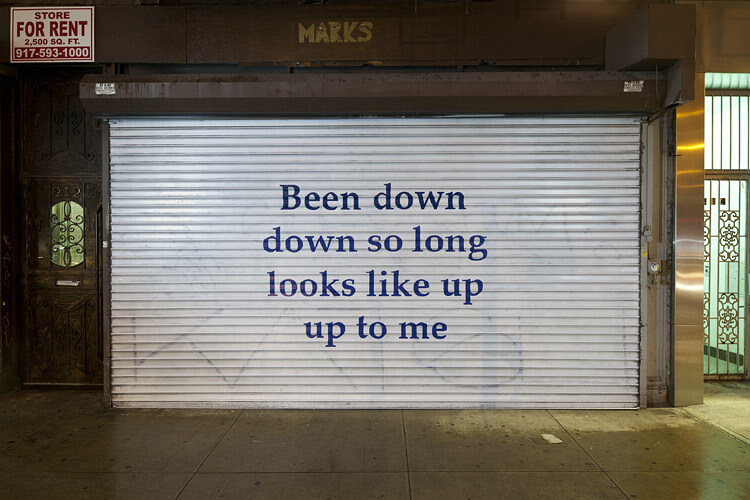 This Spring a star-studded group show is taking place downtown, but unlike most galleries the work is only visible late nights and weekends. 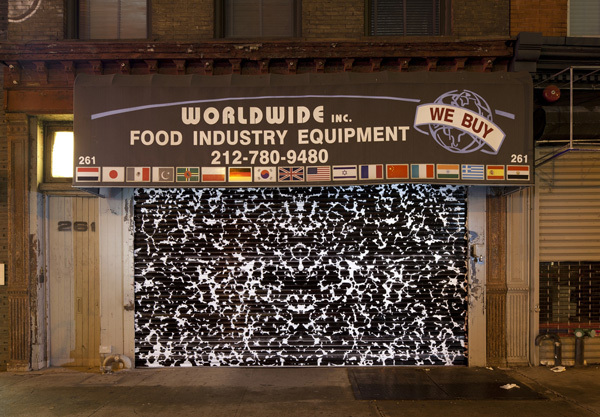 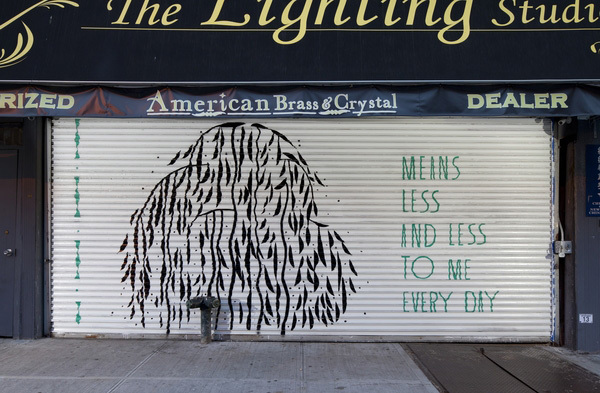 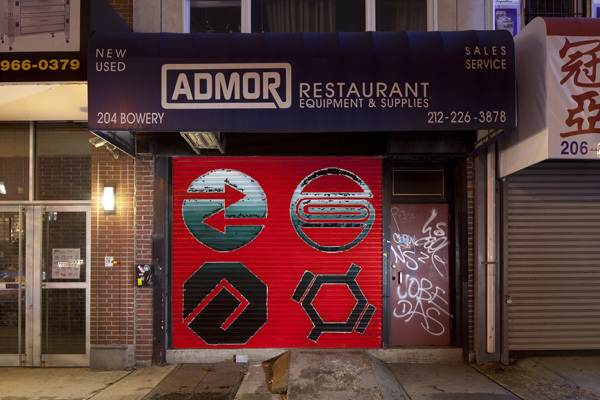 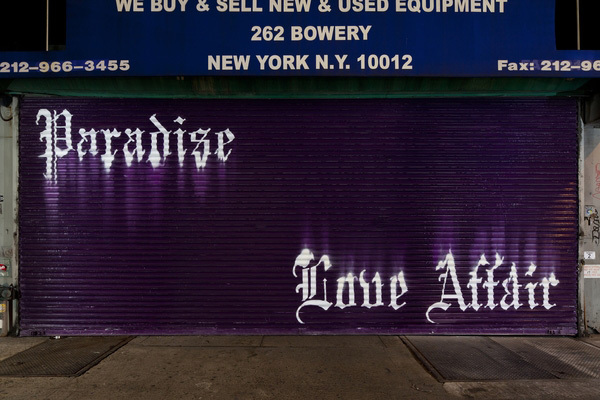 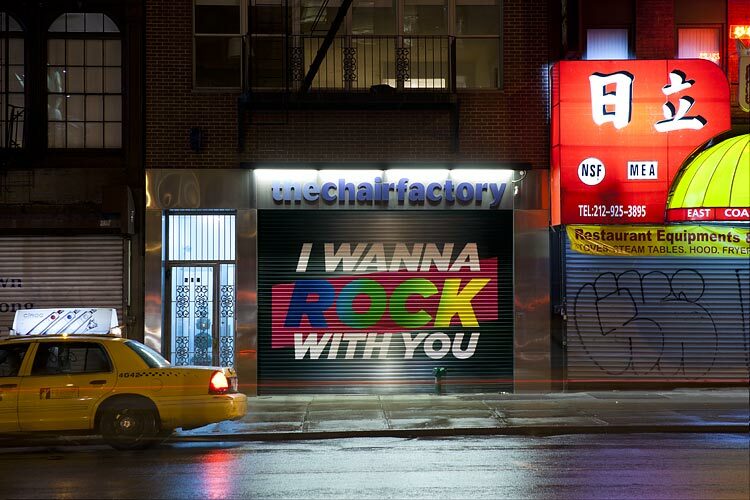 The New Museum and Art Production Fund teamed up to create After Hours: Murals on the Bowery, a series of paintings on storefront shutters that line the Bowery from Houston down to Grand Street. 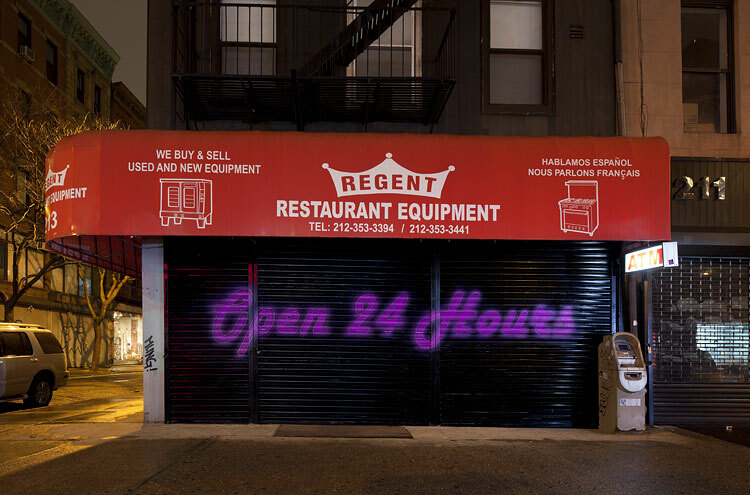 After Hours taps the talent of artists Richard Prince, Lawrence Weiner, Mary Heilman, Rirkrit Tiravanija, and Glenn Ligon to name a few. 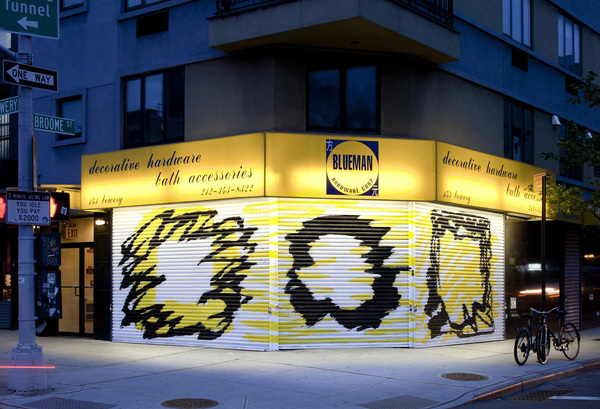 This group show invited 18 artists to design murals that were then executed by Colossal Media, the company responsible for most of the hand-painted billboards around New York City. 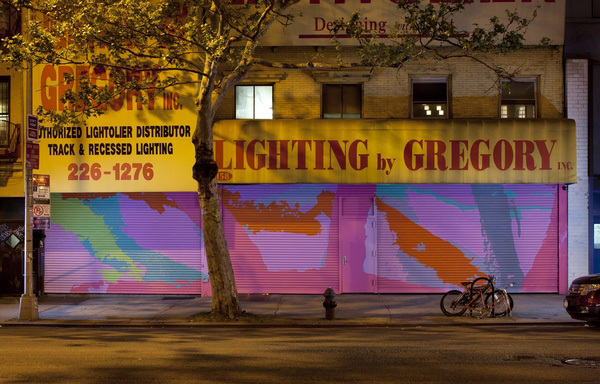 The most successful murals take into account their surroundings and have gestural references to graffiti or signage found in the neighborhood, whereas others feel random and phoned it. 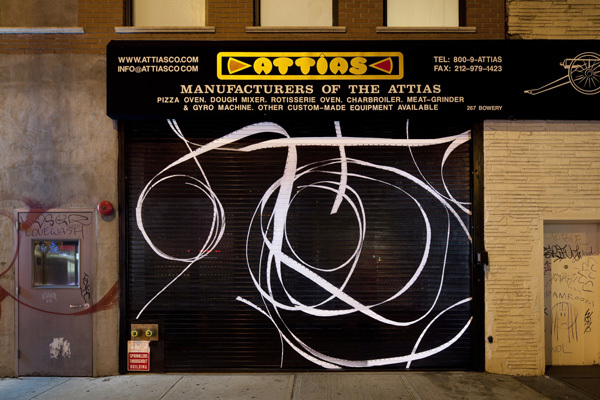 Like most street art, After Hours: Murals on the Bowery is ephemeral, as the work will only be up through July 7th, 2011. 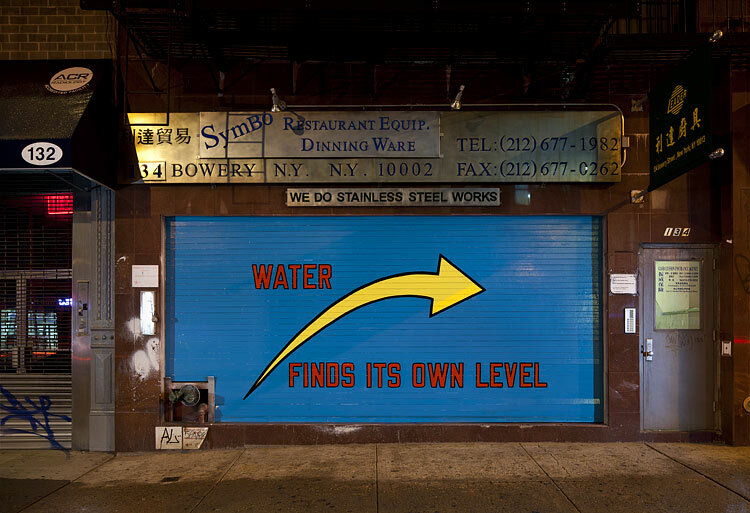 You can call (646) 213-7207 for a cell phone tour starting on the South West corner of Bowery and Houston Street. 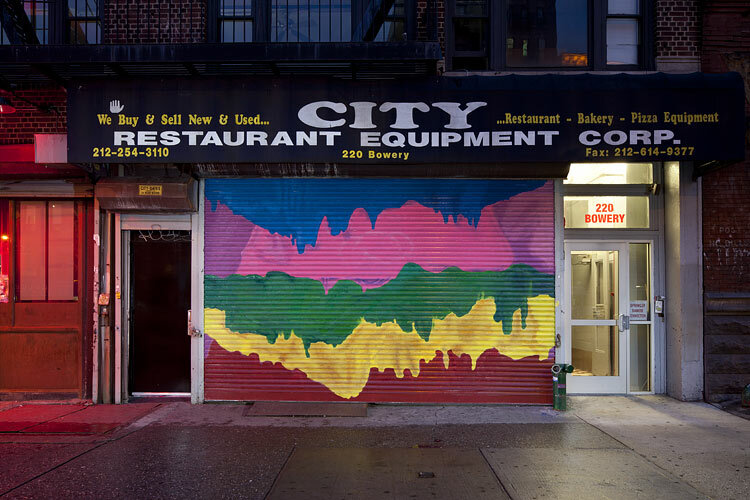 The Culture Report readers who take this late night tour of public art in the Lower East Side should also make sure to check out Kenny Scharf’s boisterous mural on the celebrated Houston and Bowery wall and a hidden gem by on of New York’s graffiti elite, Faust, on the storefront shutter at 13 Stanton Street between Bowery and Chrystie Street around the corner from the New Museum.